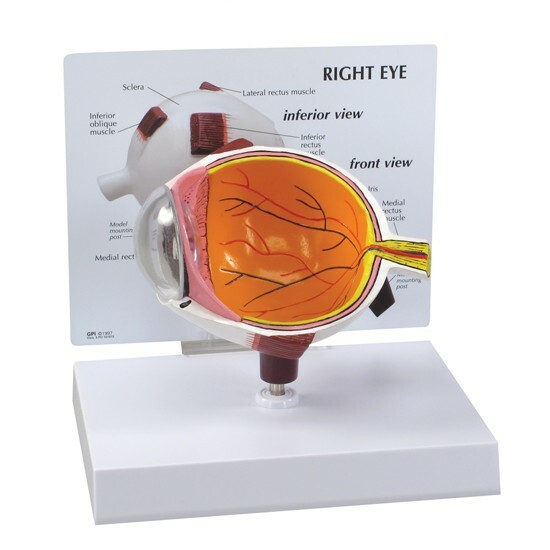 Oversized normal eye model with cut-away to show inner anatomy. 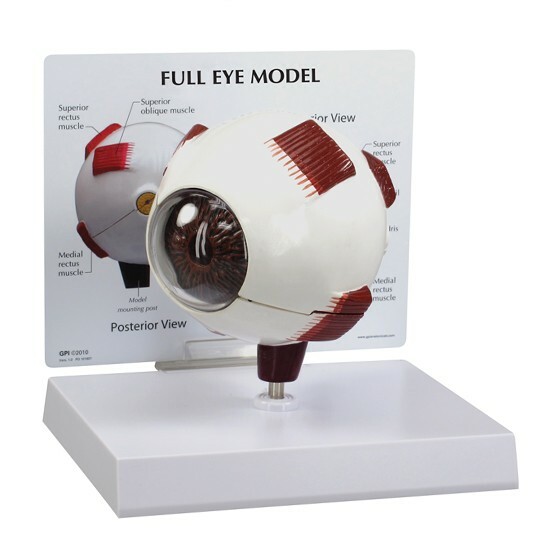 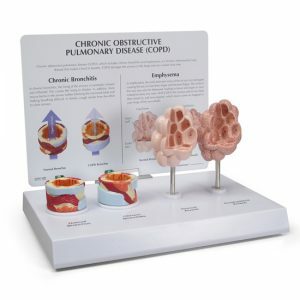 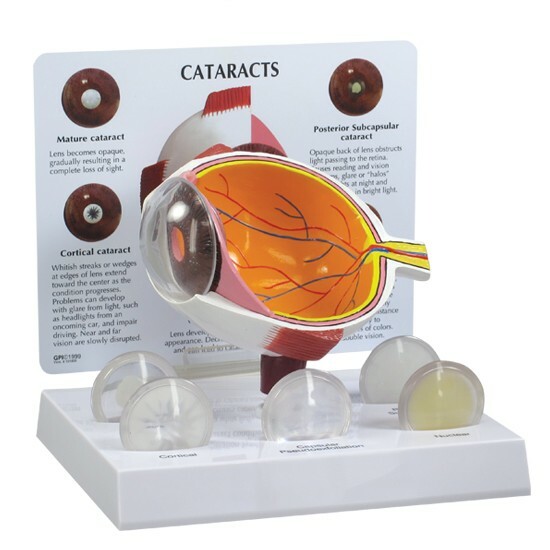 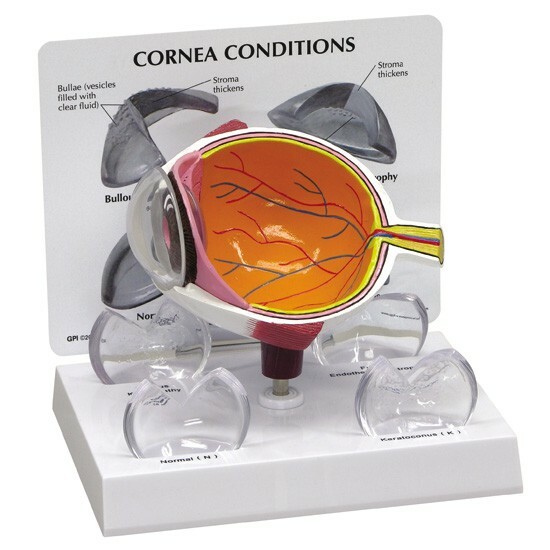 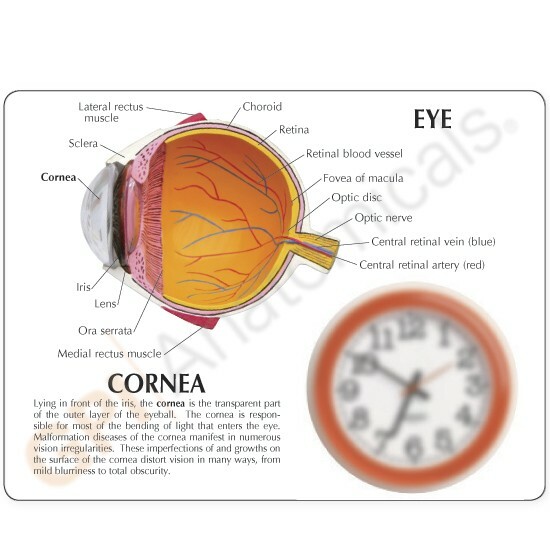 Includes four interchangeable corneas that show various cornea conditions including: bullous keratopathy, Fuch’s endothelial dystrophy, keratoconus and normal. 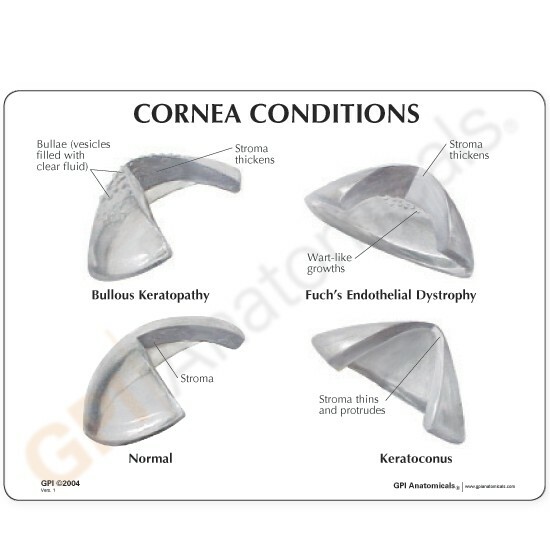 Lens and cornea are removable.